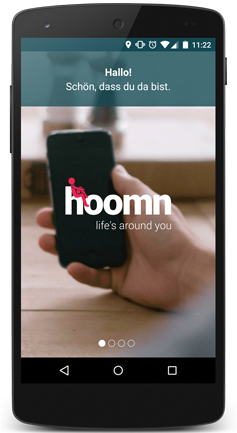 Hoomn is an app that allows users to post messages and read messages from other users within a certain distance. hoomn connects people based on their location. hoomn works like a virtual bulletin board. Just download it, choose your location, see all the posts around you and with one click you can start chatting, exchanging information or directly agree to a meet-up. And the best thing about it: No registration necessary. No analyzing of your personal data. 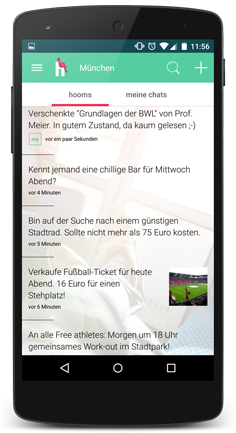 In the context of news reception, more and more readers receive links through social texting apps such as Snapchat. A large part of revenue used to for traditional media used to be in local advertisements – these ads moved to places like eBay, Immoscout and Craigslist. 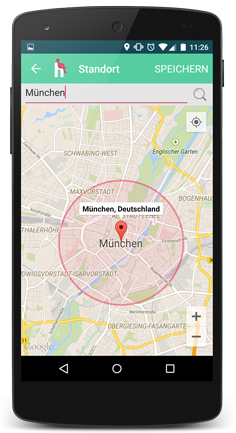 Hoomn could be a way to geo-locate messages from other uses and could be used by media companies as a whitelabel to create strong online-communities based on local content.